Bespoke Complete Services were the chosen manufacturer to supply the doors and doorsets as part of the Building Schools for the Future scheme. The contractor Balfour Beatty is well known and with the project being the refurbishment and new build of Darwen Vale, Darwen they chose local produce for the local community. For those who do not know the Building Schools for the Future programme or scheme was an idea brought in by Labour Government. Their plan was to cost around �55bn and would involve rebuilding every single secondary school in England. The grand plan was announced in 2004 by Tony Blair and it was about inspiring children to want to learn. They wanted to initiate a change in the education system through providing inspirational buildings making them feel valued and worthwhile. Kitting these schools out with the latest technologies and items suitable to bring the schools into the 21st century it would involve state of the art computer suits and would completely change the traditional idea of a school. Ideas such as wi-fi hubs where children could learn rather than sitting in rows of desks were brought up and plans were made. Now some of the schools are being rebuilt and refurbished as part of this scheme and Bespoke Complete Services are lucky to be involved. 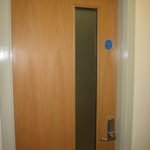 In total over 250 doorsets with various applications including NFR, FD30, FD60 and even some acoustic doorsets up to 35db were required. 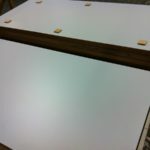 The doorsets are going to be manufactured with a Formica high pressure laminate face; in addition they will be hardwood lipped on all four edges. All these doors are going to be pre-hung in the factory and some of them will feature vision panels which will also be inserted within our factory. These vision panels will then be glazed with a range of clear glass which will meet the ever demanding fire and acoustic performance criteria. Bespoke Complete Services offered Balfour Beatty something a little bit extra. As these doors were being supplied to a school it was obvious that they would be susceptible to much wear and tear. 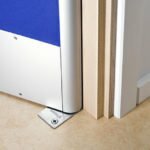 With this in mind we actually supplied the doors fitted with door edge protectors to help keep them in better condition for longer. If you have a large scale project or are involved with the Building Schools for the Future scheme and you require doors and doorsets in various applications then you need to come to Bespoke Complete Services. We are hoping to be involved in a lot more of the Building Schools for the Future schemes. For more information then please contact us on 01254 777142 or email info@bcs-l.com.